Flamingos in captivity, landscape, still life, boundaries and football as a ‘man’s game’ - all inspired by the poetry of Jane Seabourne and Emma Purshouse. A fascinating delve into a wide range of subject matter. when you go through a wood. the bark. Let it cross-hatch. The Royal Birmingham Society of Artists' Open All Media show (14 March - 13 April 2019) , is a fabulous annual exhibition which showcases artists working in a wide range of media. Come and see my two landscape etchings and many others besides. 19-30th March. The subject of journeys may be interpreted in many ways and I have chosen to show a winding path through fields to a distant hill - The Wrekin. After months of thinking about it, I finally talked to a designer, Jo Hounsome, about a new website. She came well recommended as a designer for creatives and I'm pleased with the result. Do have a look. Any feedback by email linda_nevill@hotmail.com or via the website's contact page is much appreciated. It seems appropriate to be creating etchings in my Wolverhampton studio using a traditional, Gunning etching press and to then exhibit my artwork at this lovely gallery next to the Severn River in Ironbridge Gorge, a UNESCO World Heritage site. It's a stunning setting and a great day out with important heritage buildings in lovely scenery. Diary dates: the exhibition's private view is 31 May and it is then open until the end of August. I now have some framed work ready and waiting and other landscape etchings yet to be printed. Exciting times! More information to follow. Talk by WSA member Norm Keech at Wolverhampton Art Gallery Saturday 16th February 2pm. £2. Booking required, contact 01902 552055 to reserve a place. John Fullwood is an acclaimed 19th-century artist who exhibited at the Royal Academy, The Grosvenor Gallery and the Paris Salon. 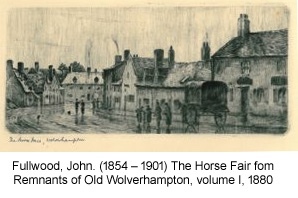 HIs drawings and etchings tell the story of the town’s redevelopment during the Victorian period. Fullwood, along with John Reid, James Tibbetts and photographer Edwin Hasler recorded the buildings before they were replaced. Local historians Simon Briercliffe and Norm Keech also feature in the show exploring the town’s redevelopment, including the creation of what is now Lichfield Street, and the disappearance of the notorious slum ‘Caribee Island’. 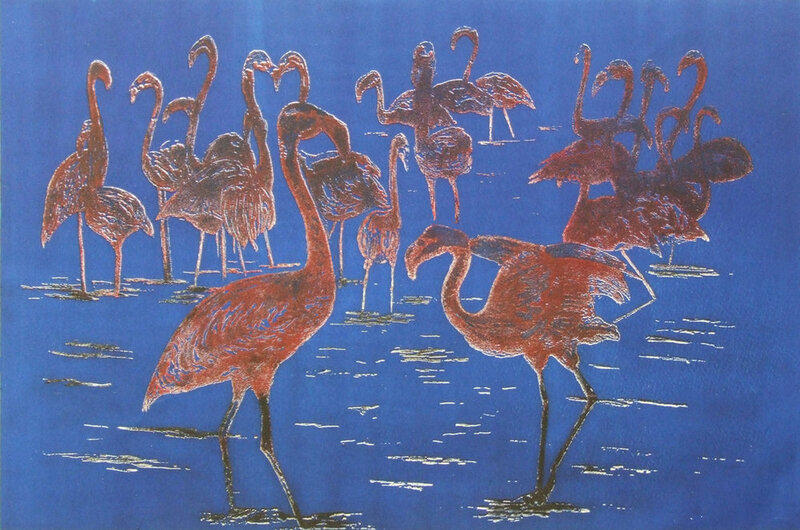 If you are interested in prints or printmaking it will be great opportunity to see some lovely engravings. Monday and Tuesday afternoons and evenings, A few places left.